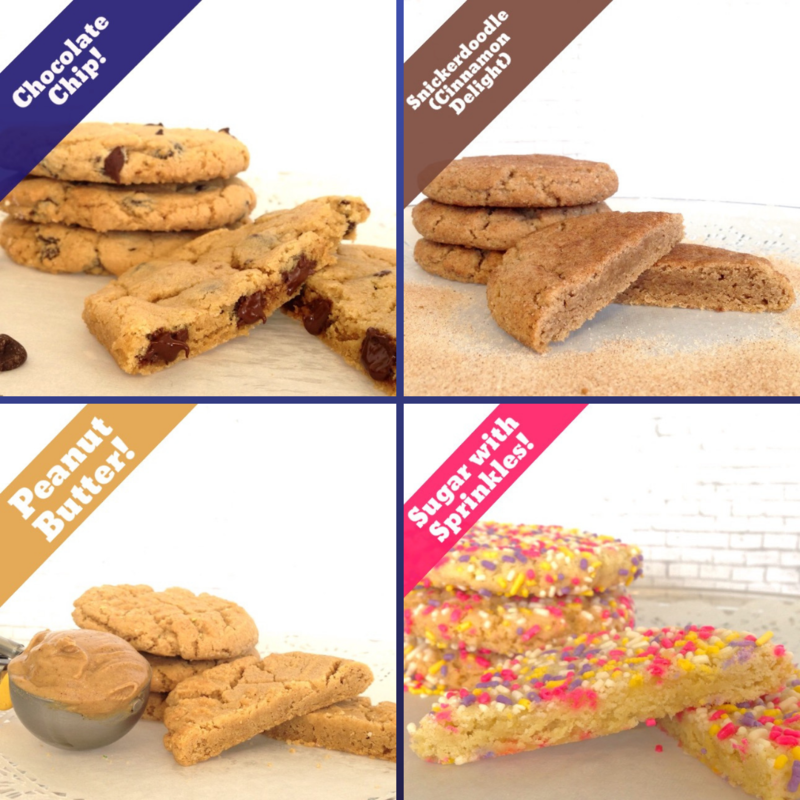 Enjoy the selection of our best selling cookie collections all year long. We put together some unique combinations of our best selling cookies, and you pick the perfect designer gift box to complete your gift. 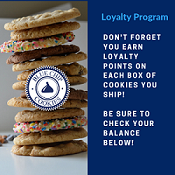 We have unique designs made especially for Blue Chip Cookies, a portfolio of gift box designs for any special occasions and a way to share the right message to any person you send a gift. 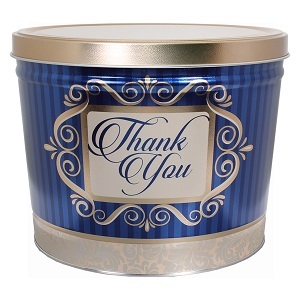 If you would like to send a tin of cookies, please visit the "Create Your Own Collection" Category. 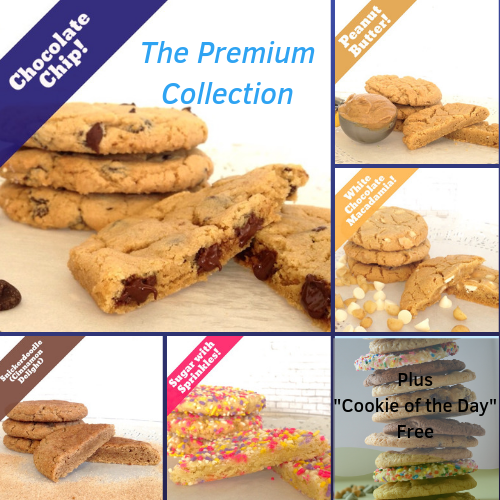 14 Cookies~Enjoy our most beloved assortment of our 5 top selling flavors: Chocolate Chip (4), Cinnamon Delight (2), Peanut Butter (2), Sugar with Sprinkles (2), and White Chocolate Macadamia (2)! 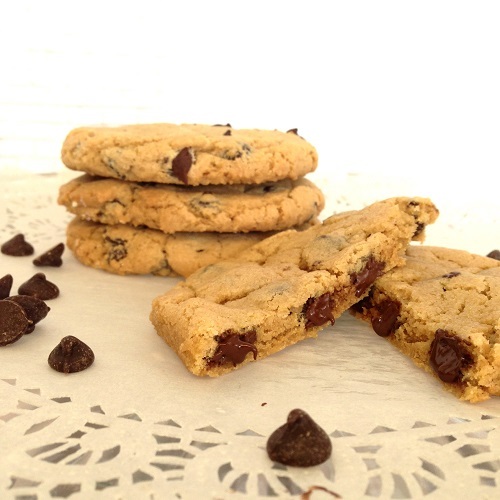 We add our Cookie of the the day FREE! 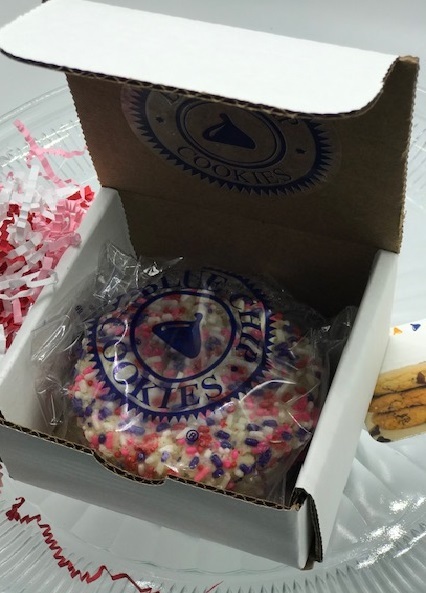 2 Cookies in a Box, pick a best selling flavor and your message! 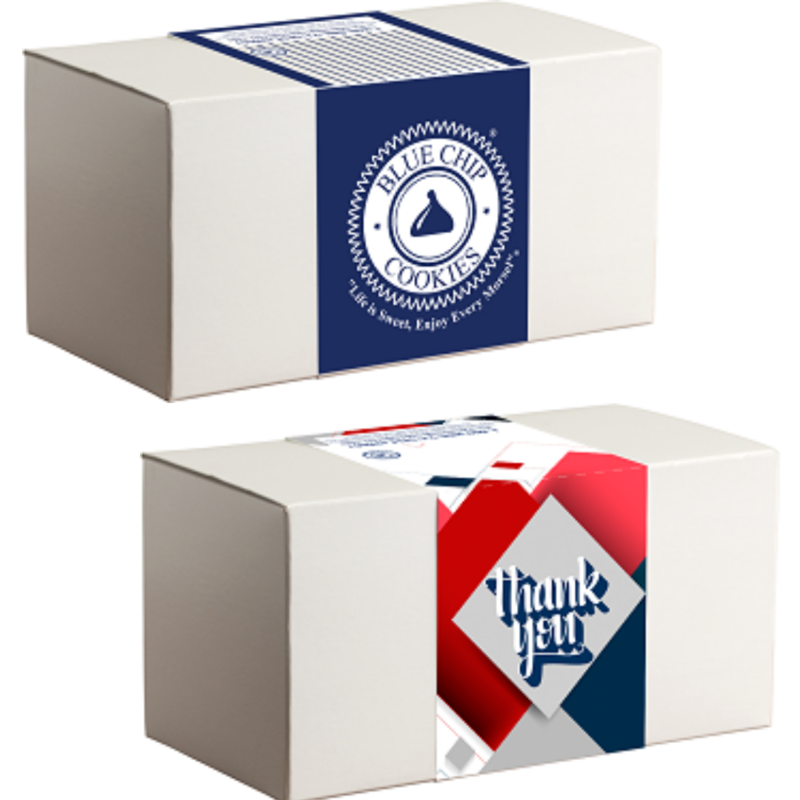 This is perfect for employee recognition, client thank you, lead generation, customer appreciation and more. 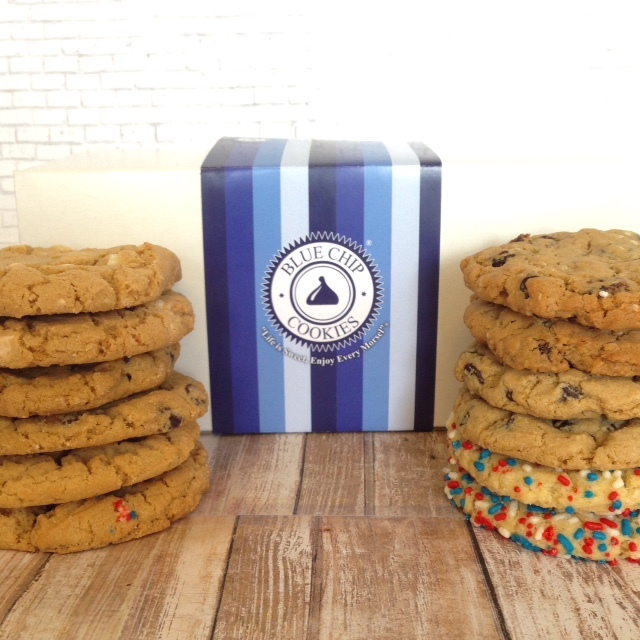 28 Cookies~Pick up to 2 Flavors to create your "Blue Chip Baker's Double Dozen" At Blue Chip we go one extra step, our Baker's dozen is 14. 36 Cookies~We make it simple and create a unique celebration tin of 36 cookies for you, that appeals to everyone at the office or celebration. Leave it to us to deliver with no fuss!